How to Secure Your Online Activity Using BitDefender? 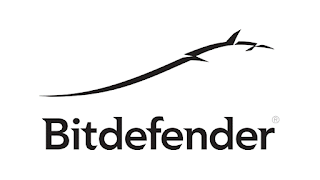 Home Cyber Security Softwares Windows How to Secure Your Online Activity Using BitDefender? BitDefender is known as one of the most user-friendly and one of the best anti-virus in the market. One can trust BitDefender especially because of its multi-layer performance that makes it easy to protect your system efficiently. It works against any ransomware and detects all the threats to prevent any type of attack. It is a good protection software especially against any type of phishing or fraud. That's not all, with Bitdefender you don't need any online security tips to keep your personal information safe online. Almost all the users recommend using BitDefender antivirus. It has some amazing features that will protect your PC against any malware, even the strong ones. It can detect any virus and will block almost all the phishing websites. Also, it will easily detect any key logger. This antivirus with an amazing user-interface will work smoothly to protect your information on your PC digitally, so you easily work on whatever you want to do. We call it the best solution available for almost every need in the field of internet. It can be trusted on all internetwork. This antivirus is used by more than 500 million users. It is one of the largest security systems that delivers its service globally. The best thing about the BitDefender is the number of various features offered by BitDefender. This anti-malware software will completely give protection in Windows, macOS, iOS and even the android devices. It will provide complete package protection. It has a multi-layer system which will give you a layer over layer protection against any ransomware. This specific antivirus will also be helpful for any threat in the network. It will stop any type of attack over your family network before it even starts the attack. The features of parental control also have been improved to a very high level for the ultimate protection of the innocent eyes against anything harmful. This antivirus optimizes speed and provides a smooth performance for the cross-platform. You will get top quality comprehensive support around the clock. If you want to just try the features of this anti-virus you can try the 30-day free trial available at their website. In terms of protection, it has a rescue mode. It gives the user real-time protection for his or her data. Your system is safe because of the anti-theft and anti-fraud features. BitDefender Total Security has a BitDefender Photon which accelerates the performance of this antivirus. This will help you to stay tension free while your system runs smoothly. In terms of privacy also there will be complete protection. There are various modes such as game, movies and work modes which you can use based on your needs. There is a password manager and also a file shredder. 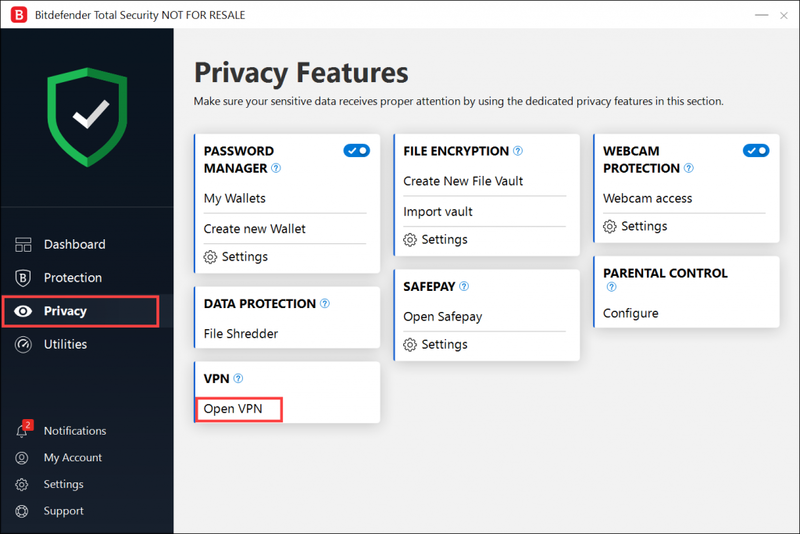 The Webcam protection helps protects your privacy and blocks unauthorized apps to access the webcam. There is a Wi-Fi Security Advisor which will regularly assess the security of the router. The feature for vulnerability assessment will scan for any security hole. It checks if your system has been updated or not and will indicate the best advice if there is any type of threat. 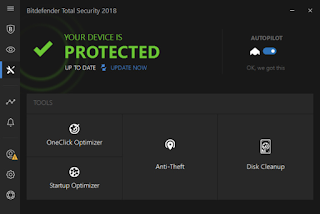 BitDefender Total Security 2019 has a privacy firewall which will give you a protective layer that will keep your system safe from any hackers. With this antivirus, you will be able to secure your hotspot. All private information such as information regarding your bank, different passwords and downloads are protected. This antivirus is compatible with all your Windows, Android, macOS and iOS devices. This will be really useful if you are a torrent downloader. You can either use VPN or even Seedbox, specifically if you are keen on downloading/uploading things. Check out Seedbox vs VPN differences to know more about the same. With this premium software, you can connect to other public networks which could be unsecured. This antivirus will let you surf the web anonymously and encrypt the traffic for your device or computer system. All your personal files and data will be safe. Sometimes the content which is restricted, this antivirus will let you access to it too! This makes your computer go in the full incognito mode. It will hide the IP address from any third party that keeps an online log of all your accessed websites. It will unlock any media messages which might be encrypted or coded. 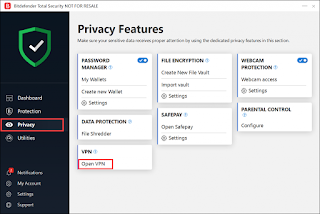 This premium VPN Service of BitDefender will give you a fast connection and allow you to connect to any forbidden network without any trace of your IP. It has the location coverage which covers various virtual areas such as the UK, IT, US, and AU. 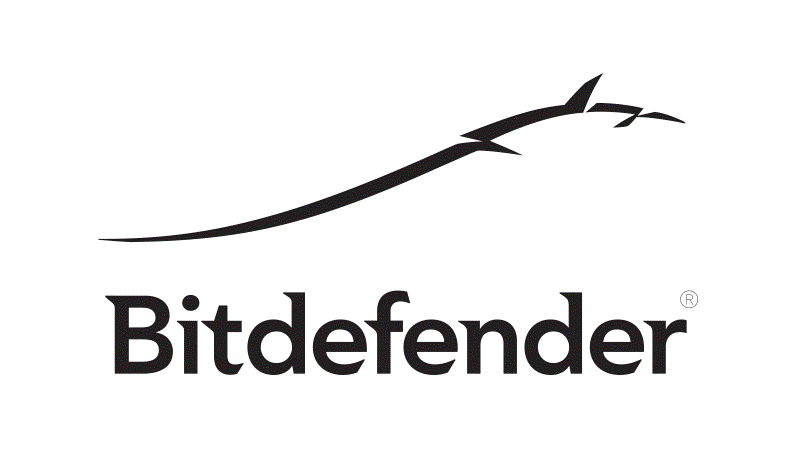 To use this software you must have the BitDefender security. If you always worried about your online security, this antivirus is one of the best option to keep your personal information safe online and also secure online accounts easily.